So many delicious beers in the fridge calling my name. As it is still rather early in the afternoon I figured I should start with something a bit more mellow than the bottle of Iniquity that sits in my fridge chilling ever so patiently. Here I have an interesting brew from the Two Brothers Brewing Company, the front of the label calls it a French Style Country Ale. I was tempted to pick up this beer a number of times but always found myself gravitating towards their Heavy Handed IPA or Northwind Stout, both of which are delicious by the way. Luckily my good friend and roommate recently gifted me a mixed six pack and managed to grab largely beers I haven’t had which isn’t the easiest task including this beer I have in front of me now. It pours a very appealing red amber hue that is barely translucent. Head is a crisp white and only about a finger that fades with in a couple minutes. The malty aroma is quite refreshing with some lightly roasted scents of toasted bread as well as a good deal of sweetness with a slight floral hop note on top.Â This is one interesting beer style. 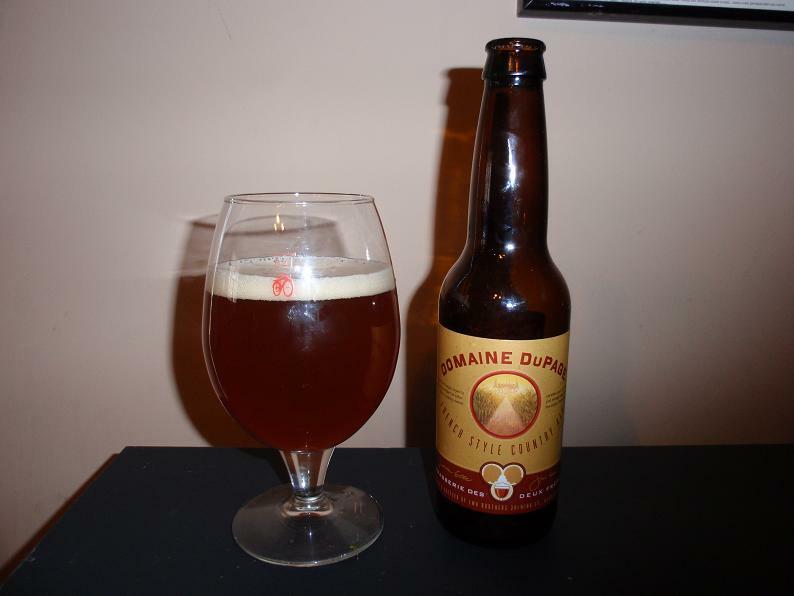 Tastes strongly of the toasted malts found in the aroma and is consistently sweet, though somehow not too overpowering. The floral notes i detected come out even more in the flavor creating an interesting mix of something a bit sweeter than apricots but then some characteristics of a dark pitted fruit but toned down. The beer finishes with a bit of bittering hop flavors but very little in comparison to the beers I tend to seek out. The body isn’t particularly heavy and the mouthfeel is quite smooth. This is a rather nice crisp but much more flavorful alternative to a lager and it is doubtful you will notice its solid 5.9% ABV too much. A good beer to try for someone interested in the BiÃ¨re de Garde style and over all a good choice for someone looking for something flavorful but still sessionable. The flavors in this beer would be a perfect compliment to a hearty brunch. Give it a shot and ride your bike.